UPDATE: As of June 1, 2018, the free offer is no longer available. 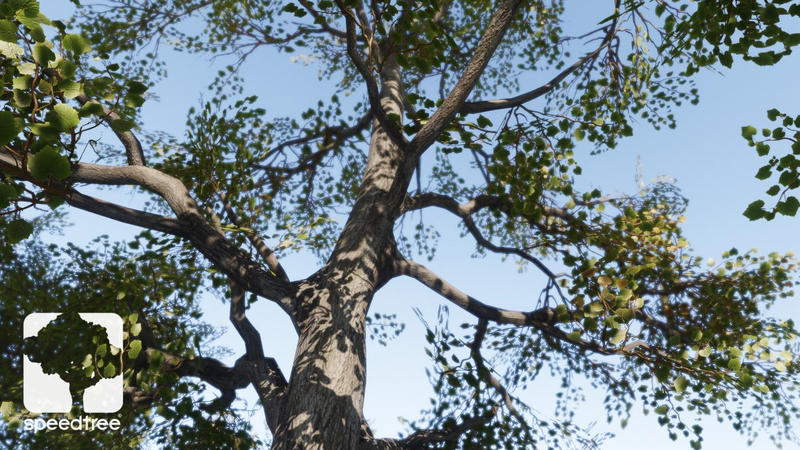 Users can purchase a license to the SpeedTree Authoring Tool here. Following the release of Starter Game, we’re thrilled to give you another tool for building imaginative worlds in Lumberyard. 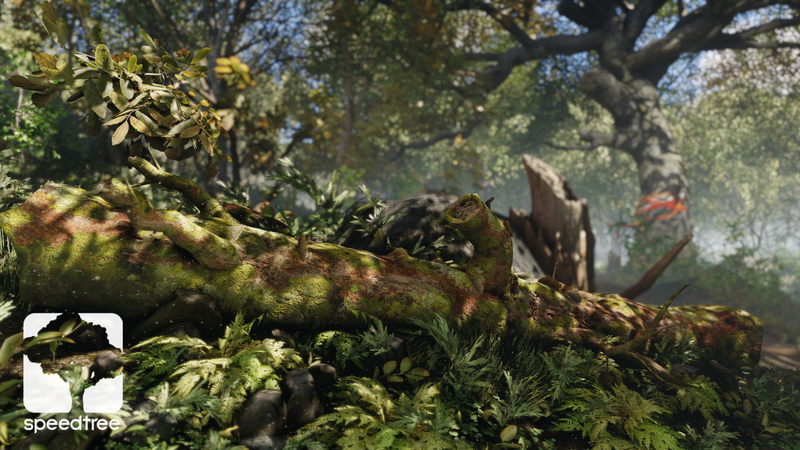 Introducing SpeedTree 8 for Lumberyard, available free to all Lumberyard developers starting today. You can download it here. The combination is a powerful one: take the industry-standard in 3D vegetation modeling, seamlessly integrate it with Lumberyard’s advanced rendering and lighting technology, and remove any subscription cost. The result is a faster, more intuitive way to create visually stunning worlds for your games. We can’t wait to see what you’ll build. Full PBR material workflow and rendering – PBR rendering and a revamped material workflow give you more precise control over your maps. You can also adjust your models before exporting them into Lumberyard, saving you time and effort. New Generators – Sometimes imperfections can make your trees appear more lifelike. With these new generators, you can create a variety of realistic features on your trees, including knots, fungi, gashes, and cavities. New Shape Control – This feature allows you to easily bunch branches together, so you can achieve more natural, organic shapes in vegetation (such as the “broccoli” effect.) You can create large clumpy trees or small clusters within your tree branches. New SpeedTree Library – Buy stock assets, including 2K leaf textures and 8K bark textures. Get access to thousands of species of trees from around the world—an incredibly diverse, high-quality collection of models and materials. And much more – Including unlimited age variation; one-draw-call models with tiling textures, wind, and LOD; new techniques for low-poly branch structure modeling and mesh editing; and automatic vertex color painting for wind, with an in-modeler preview. Getting SpeedTree 8 for Lumberyard is simple. Just visit the SpeedTree store and follow the steps to activate your perpetual license, which includes complimentary updates for the next year. There’s also in-depth documentation and a quick start tutorial to help you get started. For more information on SpeedTree 8 for Lumberyard, you can check out our FAQ. And make sure to share your SpeedTree 8 screenshots with the Lumberyard community on Facebook, Twitter, and the forums. Kevin Ashman has been working with game engine technologies since ’99, helping to build proprietary engine technologies, evaluating and migrating to commercial engines and middleware, and helping companies evaluate and migrate from their technologies to commercial game engines and middleware. He is now focused on the ecosystem of middleware and working with Lumberyard.